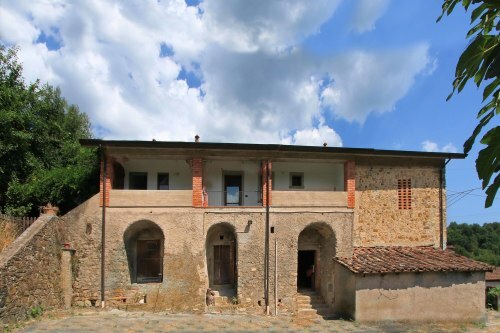 A restoration of the highest quality. 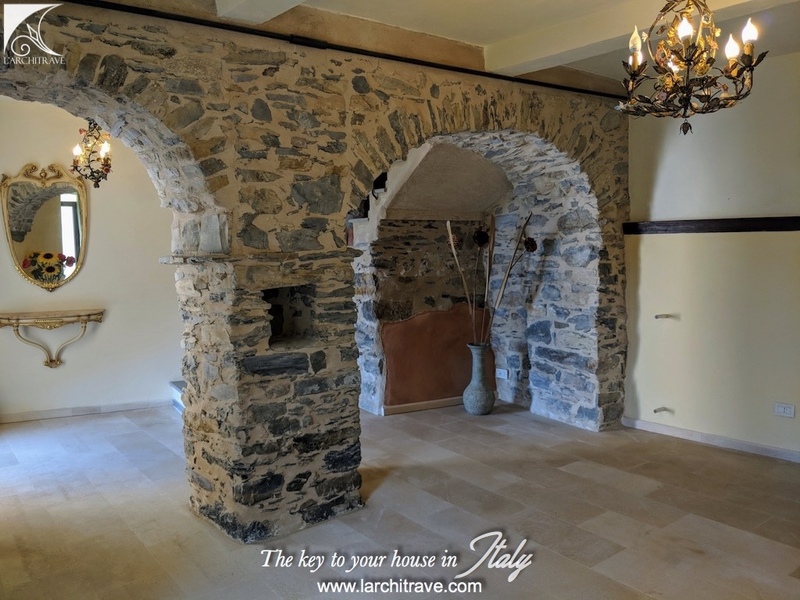 Three bedroom stone village house with two terraces and fabulous views, set just under the medieval castle which dominates the village. Architecturally designed stone house, with two terraces and fabulous views in a village dominated by a castle. 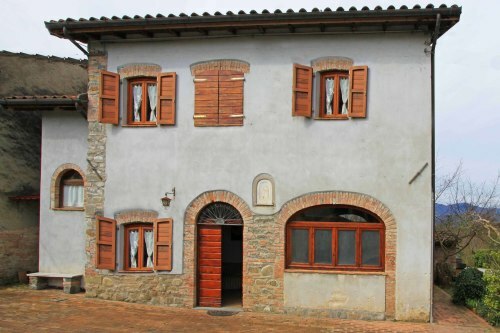 The spacious three bedroom house (197 sqm) is set over three levels. 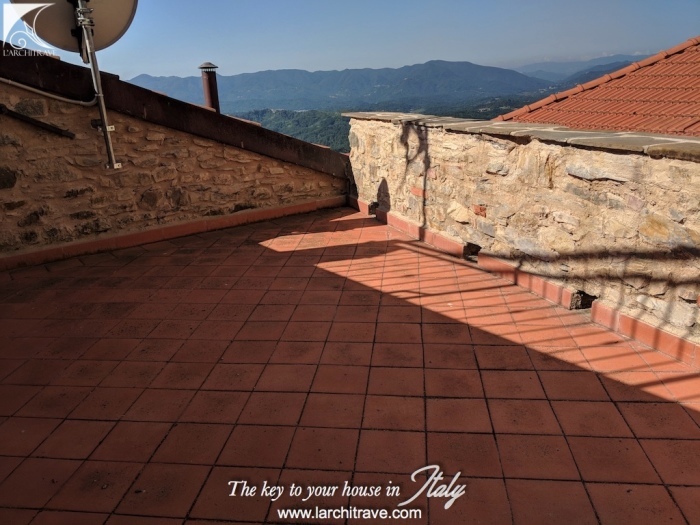 The front door is entered off a terrace, which provides space to eat outside. Entering into the well equipped kitchen, there is an interesting mezzanine level above, which could be a useful office space. 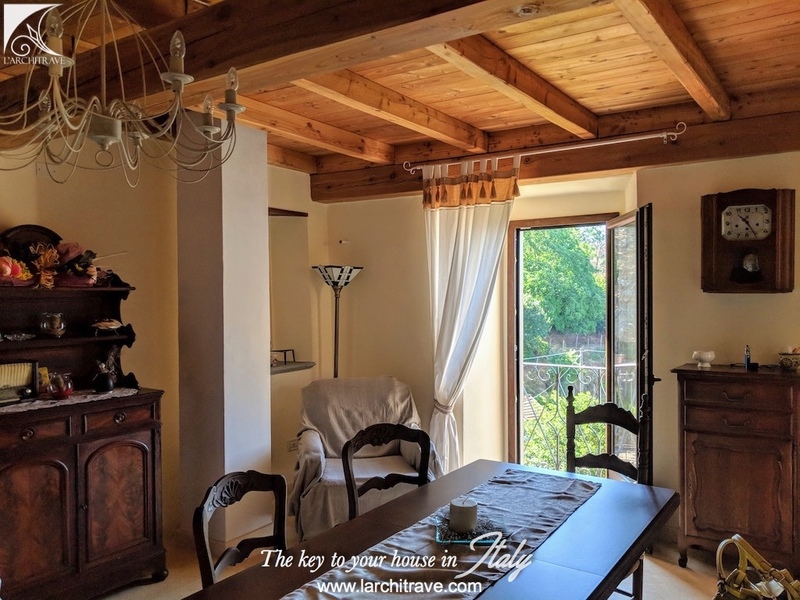 The living room/dining room is large with two Juliet balconies looking out to the view over the valley below. 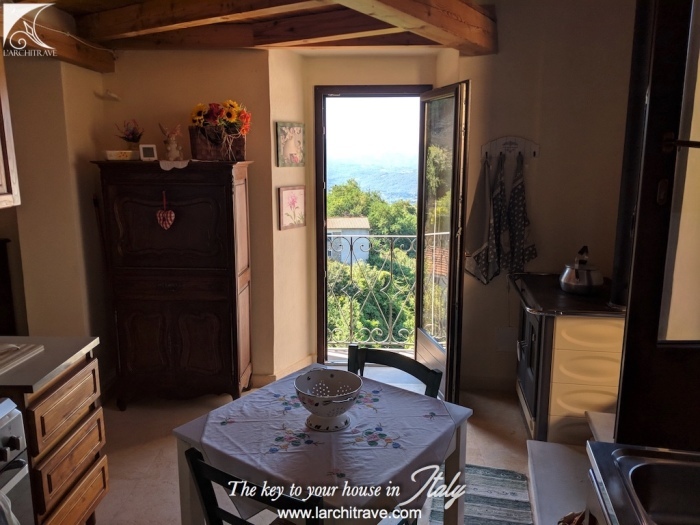 On this level is also a bedroom with stairs leading up to a lovely terrace, which makes the most of the extensive view. 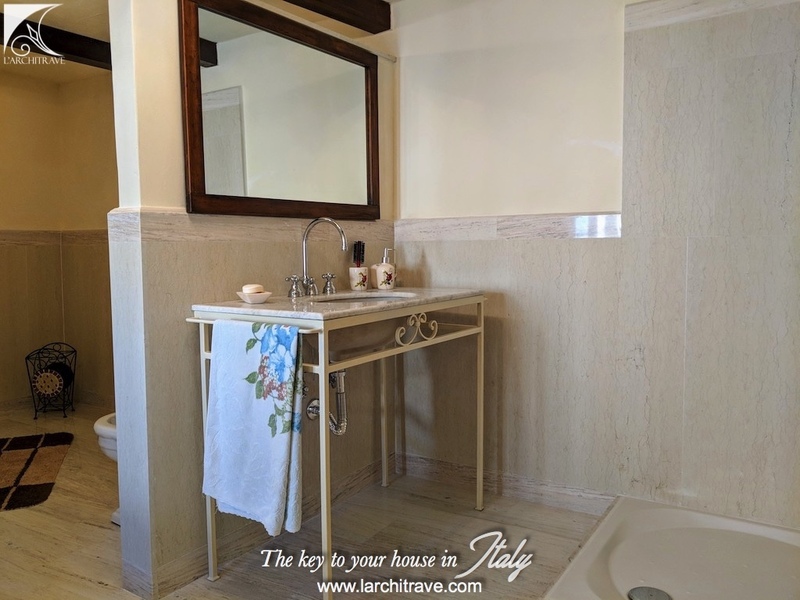 From the hallway, stairs lead to the large bathroom, with shower and ample space for bath, fitted with marble. 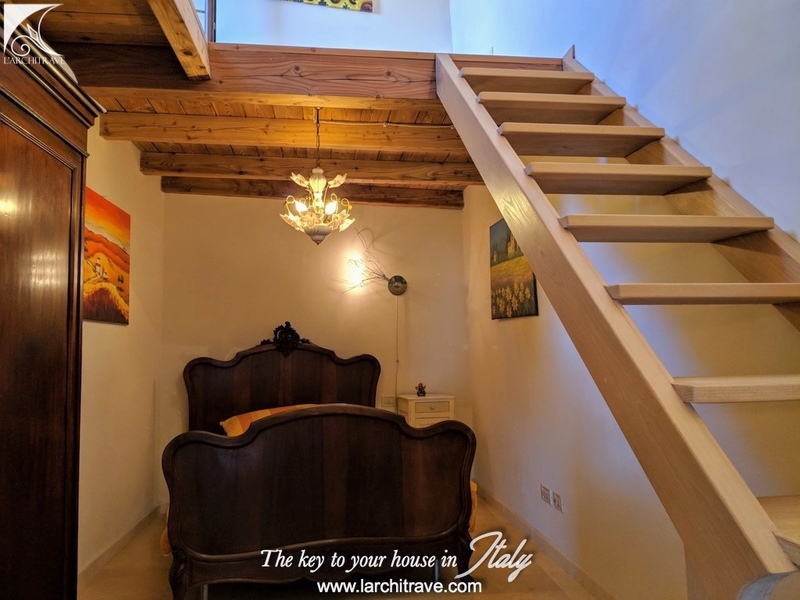 Up a few more steps is a beautiful large bedroom. 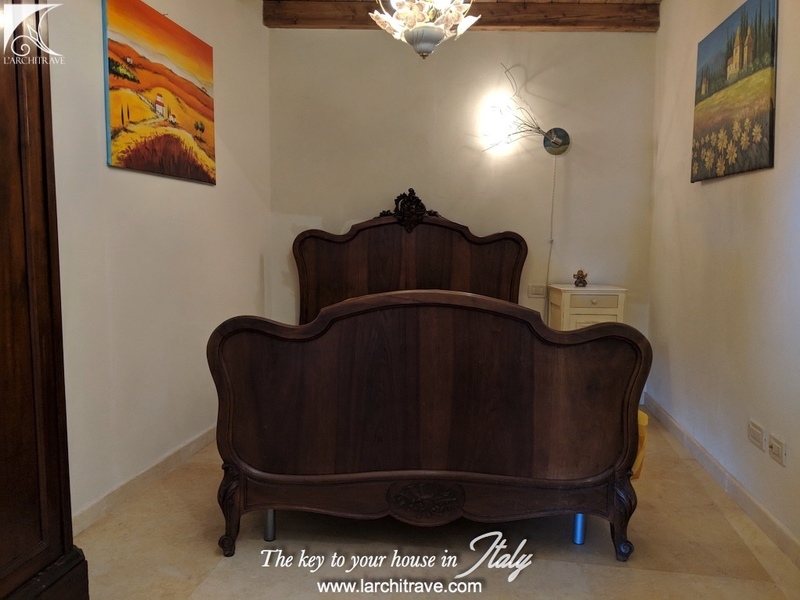 Downstairs, the old cantina has been converted to a wonderful space, offering potential for a further bedroom, or additional living space. The original stone arches give the room enormous character. 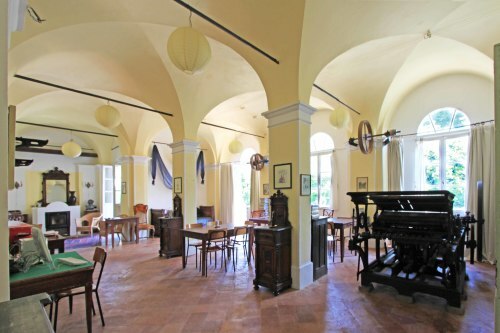 There is a large wood burning stove. 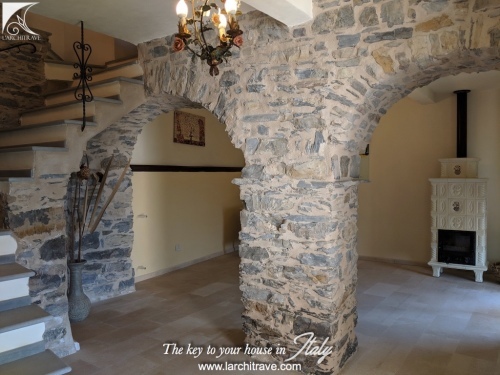 The materials used and the quality of the workmanship throughout are of the highest quality. 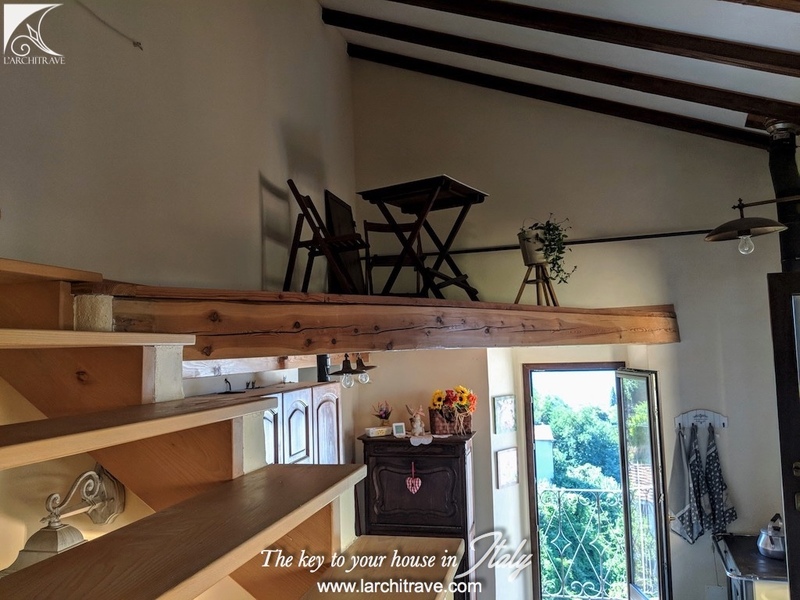 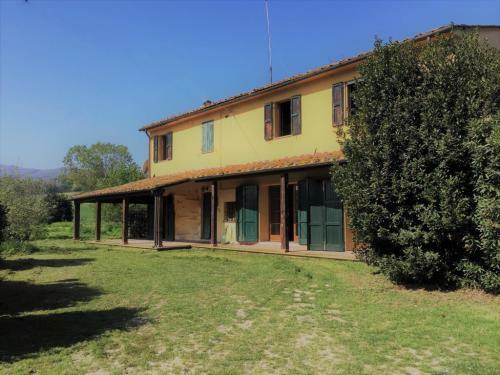 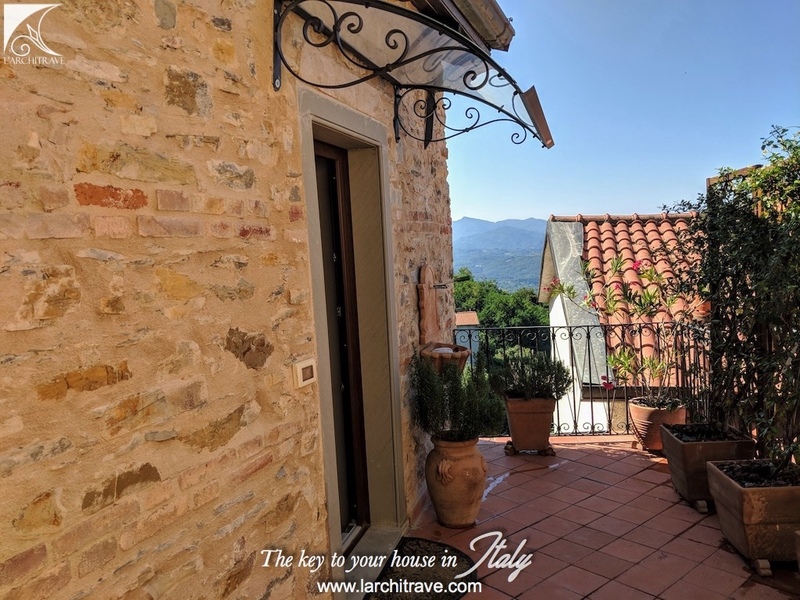 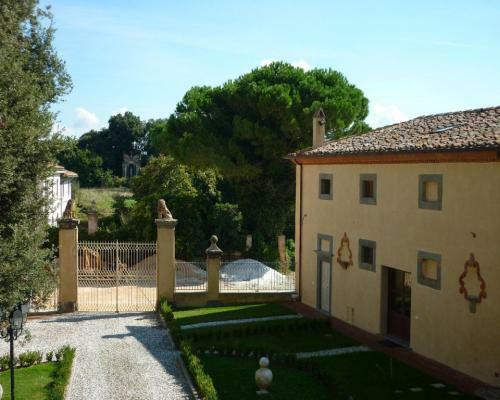 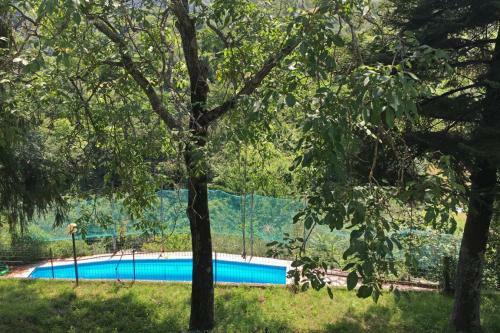 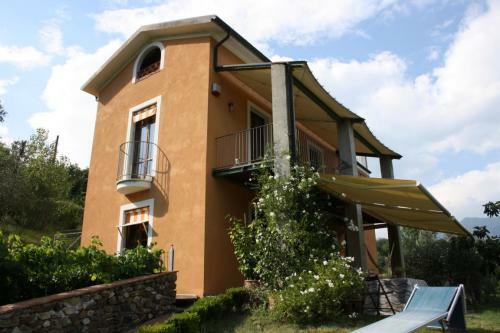 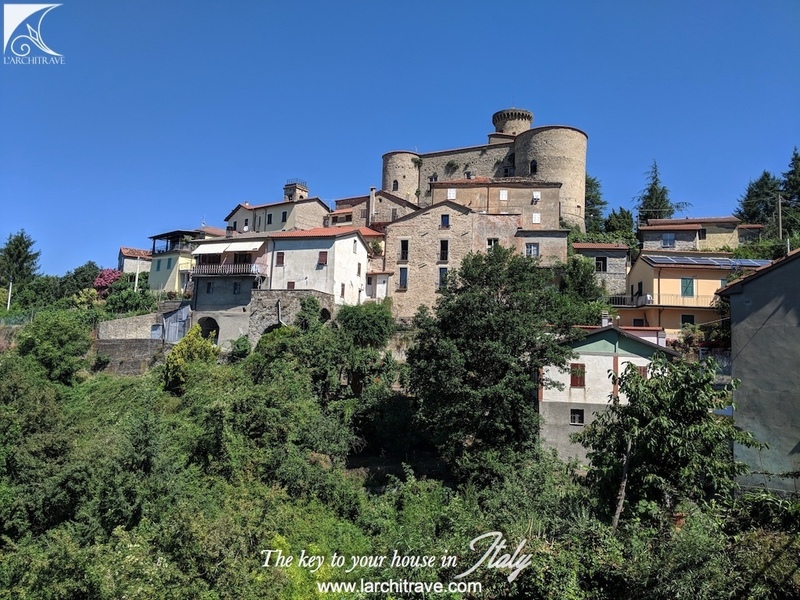 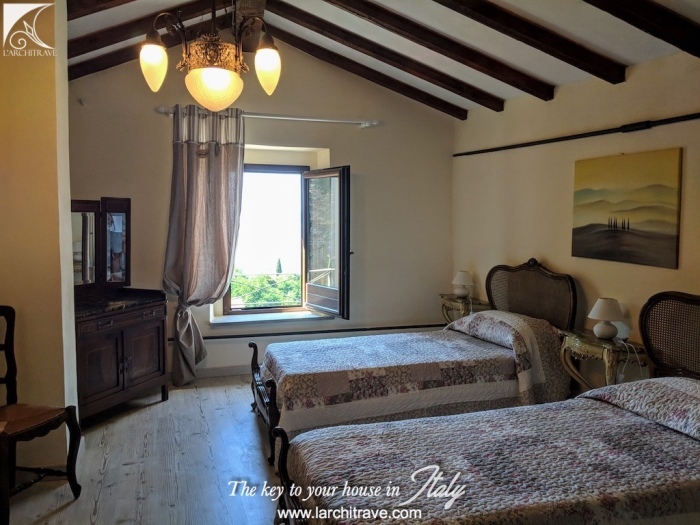 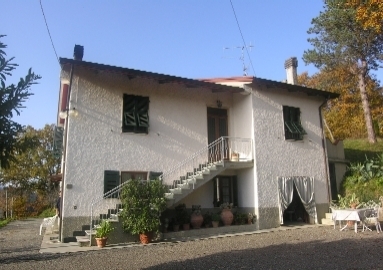 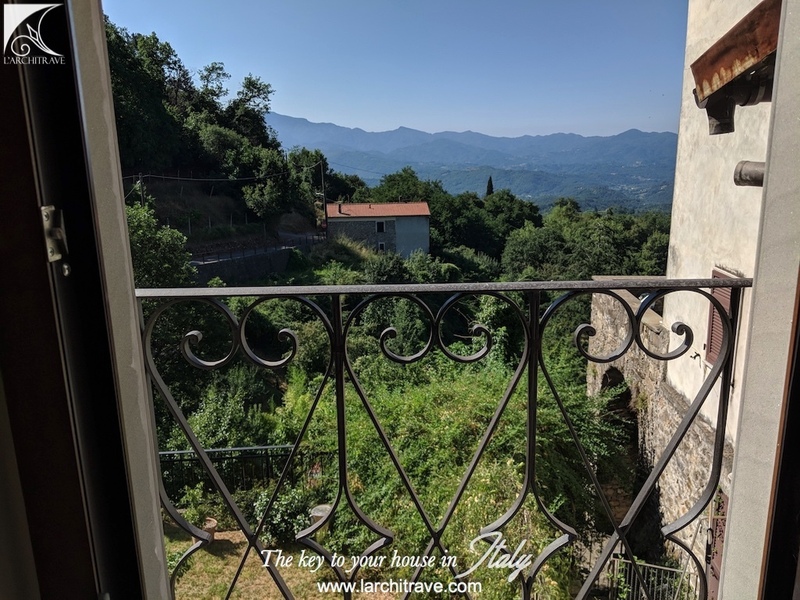 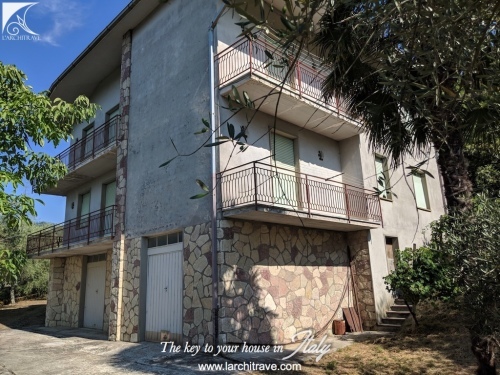 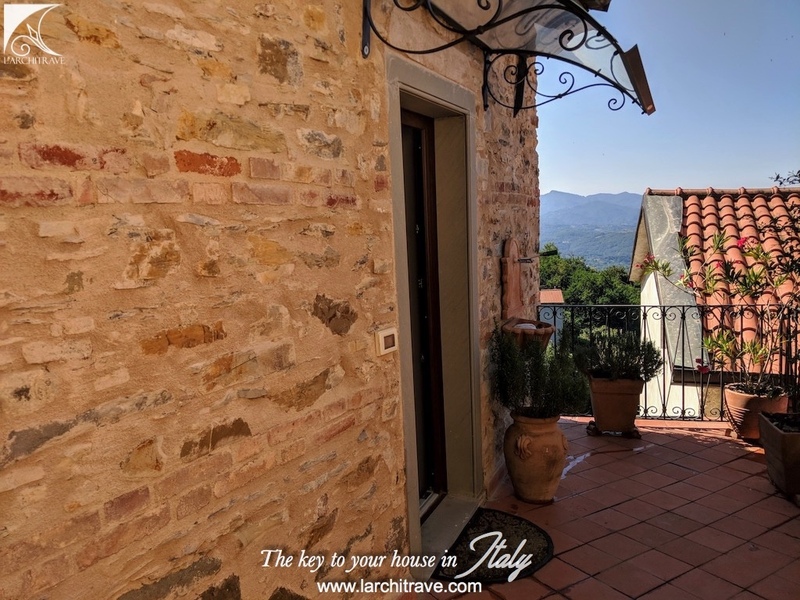 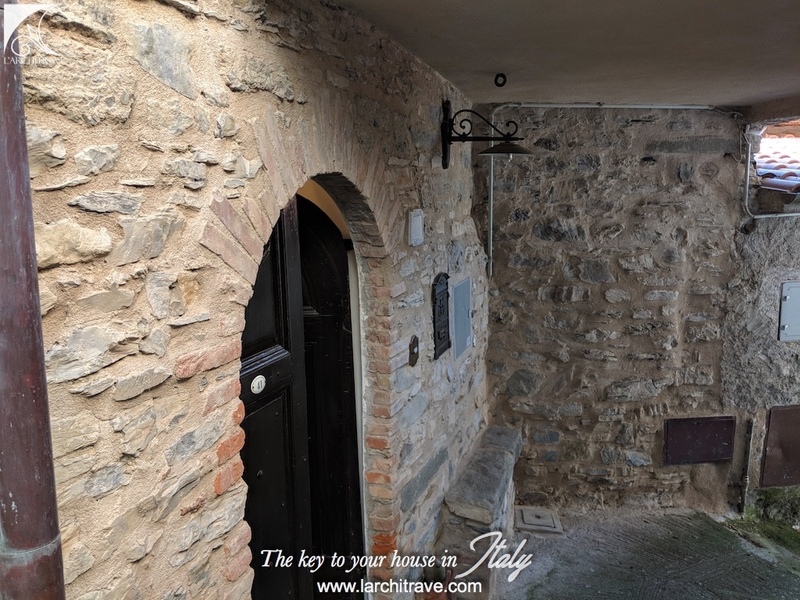 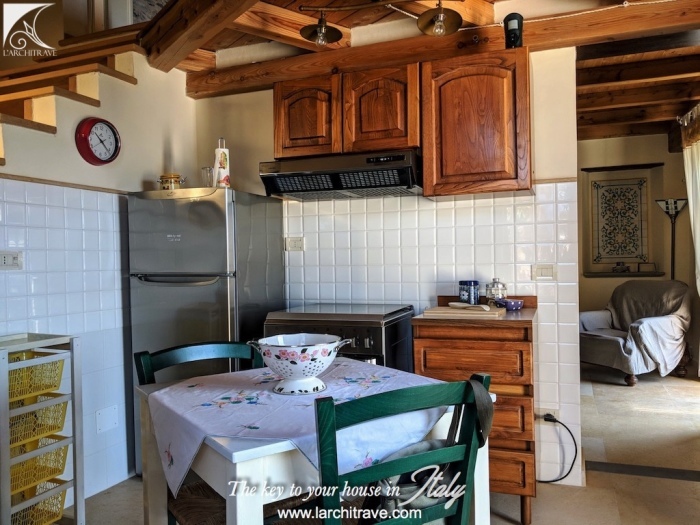 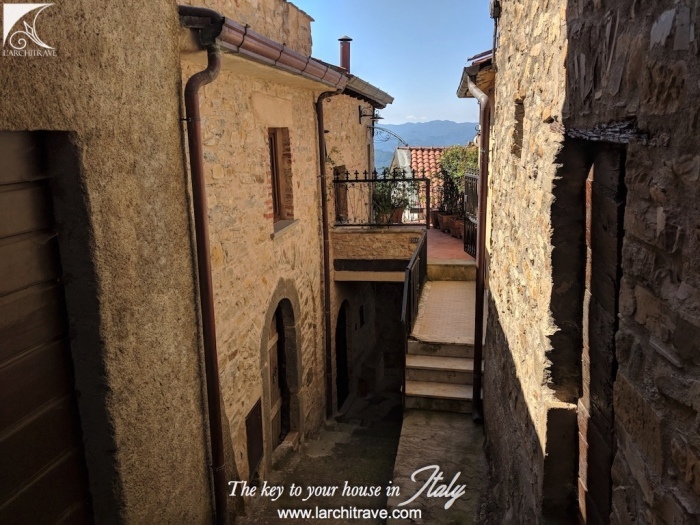 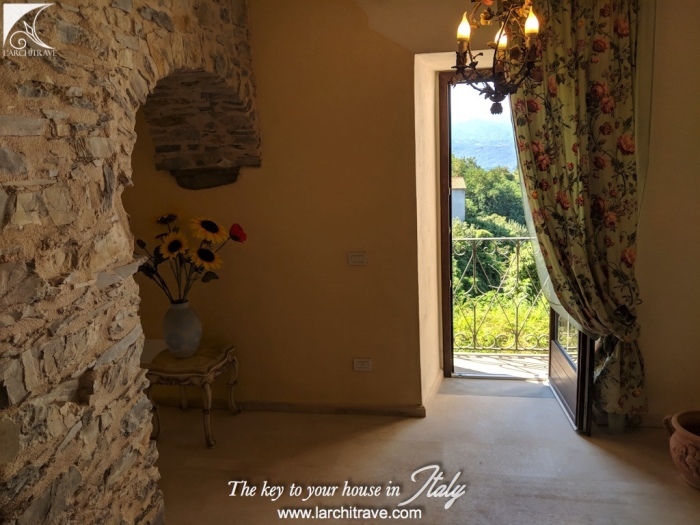 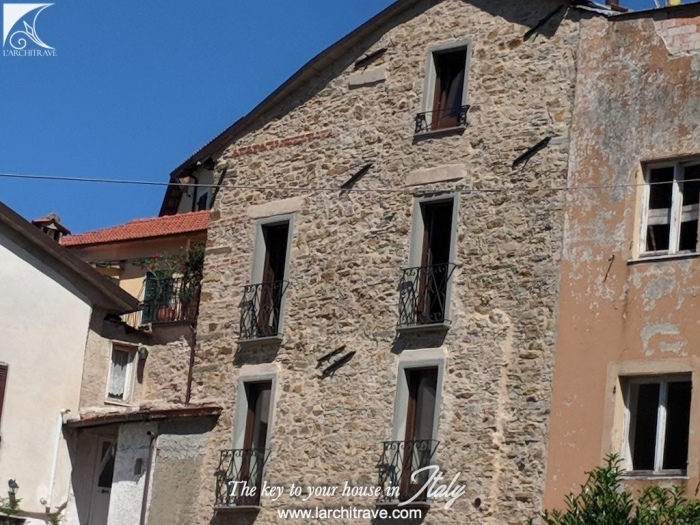 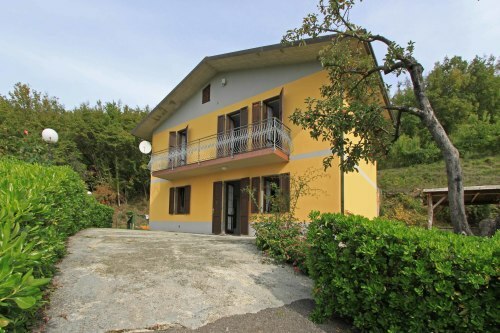 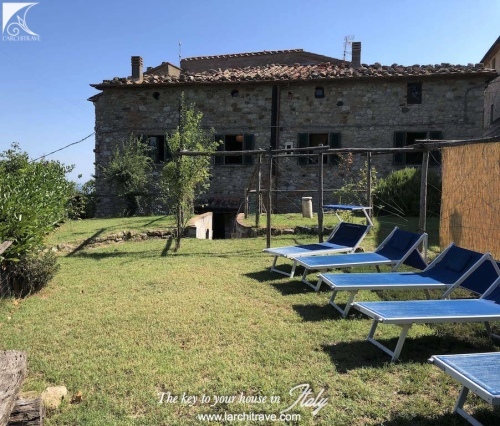 The house is set in a village up a hill, just a 5/10 min drive from the lovely town of LIcciana Nardi, with cafes, bars, restaurants and shops.